Ms Glynns class were tasked with investigating our own fingerprints. First we learned all about the four different types of fingerprints: Cusps, Ridges, Loops and Splits. We looked at pictures of each type of fingerprint on the interactive white board. Then we looked at our own fingerprints and the fingerprints of our partner and we discussed which type we each might have. We then brainstormed how we might take our own fingerprints and we had some great ideas, some children thought we could use paint, others thought ink might work. 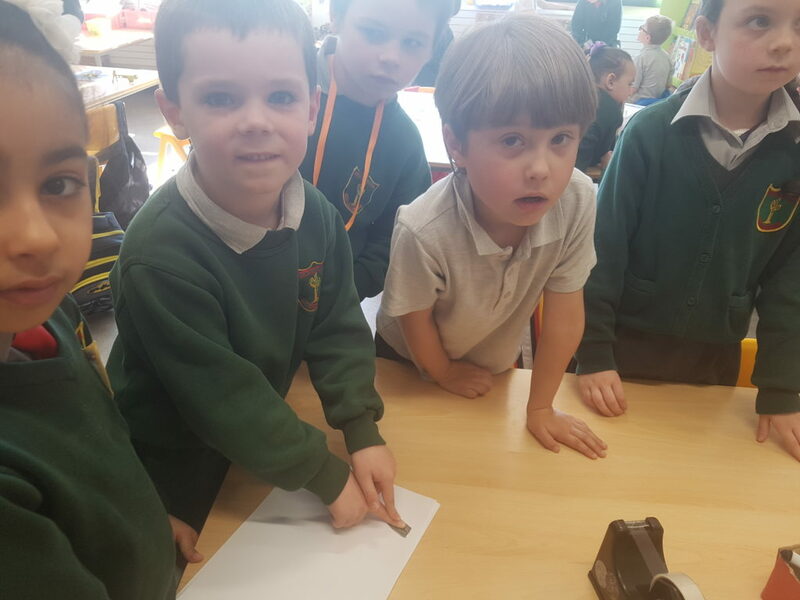 The teacher showed the children our materials for conducting this experiment: a pencil and some sellotape and the children further brainstormed how we might take our fingerprints using these items. We then used the pencil to make a mark on a piece of paper, then we took our finger and rubbed it around on the pencil mark. 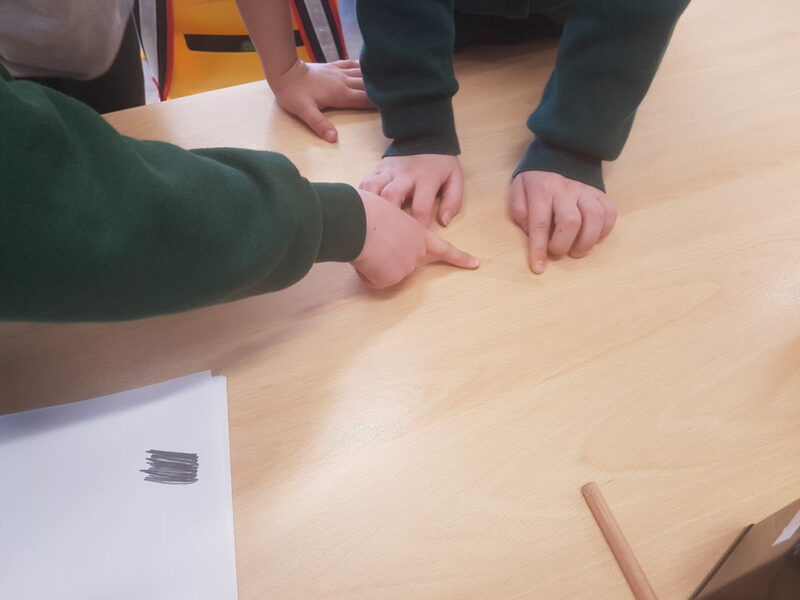 We pressed this finger onto the sticky side of the sellotape and lifted it up and when we placed it on the paper we were amazed to see that you could clearly see our fingerprints.